When we found Kristen, we had been hemming and hawing over possibly obtaining the services of a doula. I was about seven months pregnant. I had posted on Facebook a general question about doulas and whether or not anyone knew one. Several women in the group recommended Kristen, and had tagged her. She sent me a nice message right away. I was very nervous. I didn't want to waste her time in case we decided not to have a doula, but she was always open and relaxed, and allowed us to take our time to work out what we needed. We agreed that I would meet with her first to have a general chat about what she provided so that I could come to a decision. It ended up being our first pre natal meeting, because once I got to meet Kristen, I knew that I could trust her and that she was the extra support person we needed at our birth. Kristen always gives off a very calm vibe. She can definitely joke and be silly when the time is right (humor was very important for us, we didn't want the birth to be all seriousness or anxiety)-- but overall Kristen's demeanor is that of strong tranquility. She made my partner Sean and me feel empowered but also comfortable and relaxed throughout our experience. Kristen made herself available to us from the time of our first meeting all the way through those next couple months, as well as during and after the birth of our daughter. Her response time is excellent in terms of communicating by phone or message. She taught us about natural ways to kick start labor, helped me troubleshoot the discomfort of the last trimester, and helped prepare and educate us for the many decisions we would have to make during and immediately following the birth. At our meeting right before the due date, she brought us a gorgeous, hand-sewn banner that resembled Buddhist prayer flags, but each square was blank. On each flag I wrote an affirmation from a list she had provided, so that I could look to the banner for strength during the birth. It gave me so much confidence and I never would have thought of that on my own. Not to mention how the nurses and midwives adored and photographed it in the hospital room. At the birth, she was flexible and arrived when we wanted her to arrive. We were a little nervous about including a third person in the room, especially someone we didn't know well, but Kristen has a knack for knowing when to hang back and when to engage. We never felt like she was invading our privacy, but when we needed something she was right there. She brought us a Bluetooth speaker so I could listen to my favorite music. As my labor started to ramp up, for each contraction Kristen provided continual counter pressure on my spine, which went on for almost five hours. Now, I have a back issue-- you may not need counter pressure like that although I recommend it-- but the point is that during every single contraction throughout the most difficult part of my labor she pressed as hard as she could on my back. That takes an incredible amount of mental & physical stamina and resilience. A nurse finally offered relieved her toward the end when I changed positions; otherwise I believe she would've kept right on going. I feel strongly that without Kristen's support I may not have been able to cope with the pain as well as I did (I didn't have an epidural). After our daughter was born, Kristen tactfully said her goodbyes and went home. I have to be honest I didn't want her to go! But she knew we were ready and would be fine. We had a postpartum visit one week after the birth. She came to our home as she always did and made sure I was feeling well and cuddled Baby Margaret. We talked about breastfeeding and swaddling. She offered to bring groceries or help with laundry. I emphatically recommend obtaining Kristen's services. She is highly skilled both practically and emotionally, she easy going, and she's got a great sense of humor. Kristen is a fountain of unbiased, evidence-based knowledge. She also is in touch with her spirituality. She is worth every single penny. Our birth went off without a hitch, in fact it was ideal-- and she contributed to that in a big way. I signed a contract with Kristen late in my pregnancy, like 35 weeks late. Despite this I had no problems feeling comfortable with her being part of such a special moment right away. She was easy to chat with openly, even about the nitty gritty stuff. 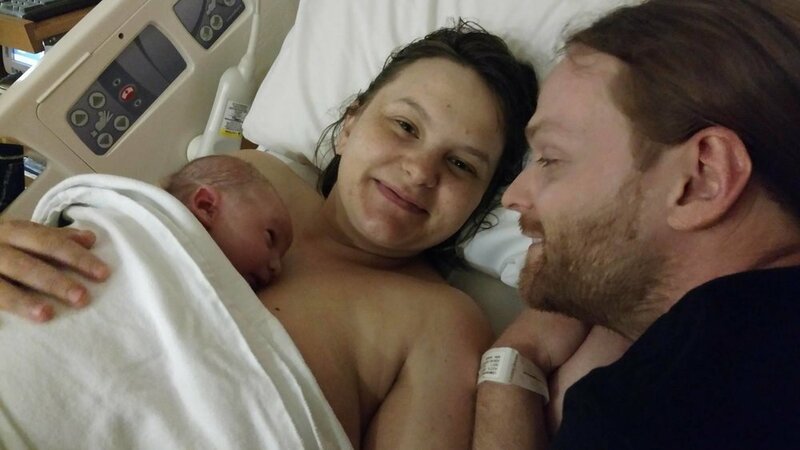 As a third time mom, we first met kids in tow and she made herself available from that point on, and continued to check in until I finally agreed I needed her at my birth. As a doula myself, I knew the support was beyond valuable, but she went beyond my expectations. While I was fairly low maintenance since I came knowing what to expect and trained, she always had helpful suggestions for any complaints and was prepared to come anytime I was getting monitored. With multiple preterm labor scares, it was often the last month. Even if I didn't need her the offer is what counts and it was always prompt, within minutes of giving her updates. While I was delivering an hour away, she had no problem shooting up to the hospital and meeting us there in perfect timing as I requested when it was the real deal. I managed pretty well on my own until transition, at which point she tried things from counter pressure, hip squeezes, and essential oils. She was fantastic at picking up when something was helping, when I needed her, and when to hang back. Which was surprisingly difficult as I was off in my own world, only answering "I don't know" when asked questions. She showed my husband some of the comfort techniques. She took pictures at my request. My birth experience was incredible because of her, and thanks to the pictures I have lasting memories. For the first time I can look back on my birth and be happy with it. I've never felt stronger or more empowered! I cannot recommend her enough, and would hire her again in a heartbeat if I am to have another.